Nature At The Confluence in South Beloit recently held a “Safe Paddling 101” program so paddlers can learn how to be better prepared and stay safe on the water. 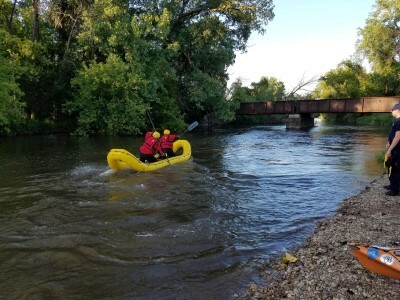 We’ve seen quite a few days of high water on Turtle Creek and Rock River this summer and more than a few people have had some tip overs and some have lost equipment down the creek. Nature At The Confluence’s Safe Paddling 101 program was offered in partnership with the Stateline Swift Water Rescue Team comprised of firefighters from the South Beloit Fire Department and City of Beloit Fire Department. Did you know that this highly trained team is one of the few in the WI/IL region? 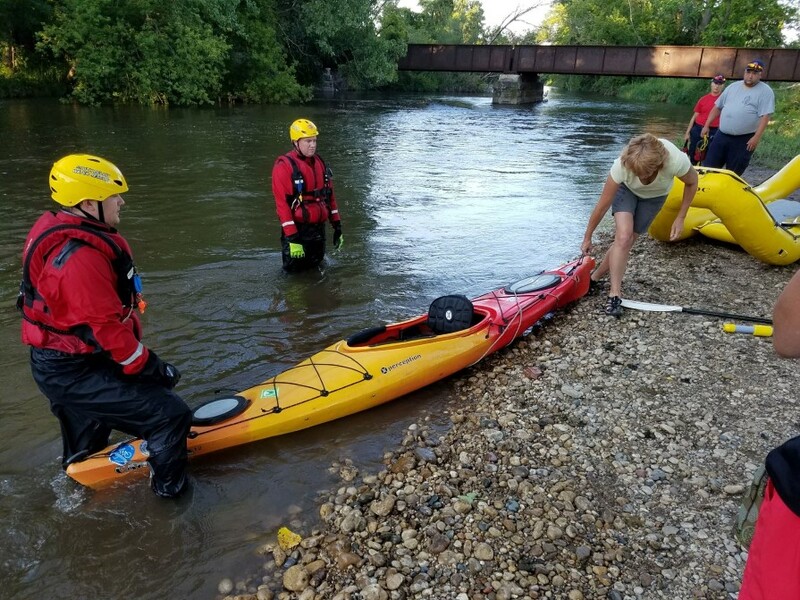 They’ve been called on in July to assist with rescues on the Kishwaukee River and they also provided assistance to Burlington, WI when their city was flooded by the Fox River. This program was also offered in partnership with Friends of Turtle Creek and the Rock River Trail. 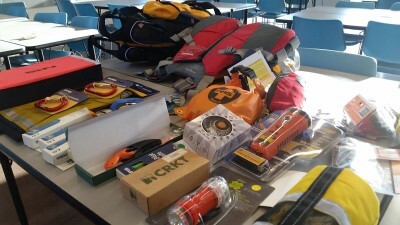 Rocktown Adventures also brought a variety of paddle equipment to show the essentials that every paddler should have with them. We’re lucky to have beautiful waterways to enjoy in our area and we want everyone to safely enjoy them! If you missed the presentation, here’s some notes from the presentation. #1TIP from the Swift Water Rescue Team – if you get in trouble on a waterway – call 911 right away. The team would rather get there and find you don’t need them. 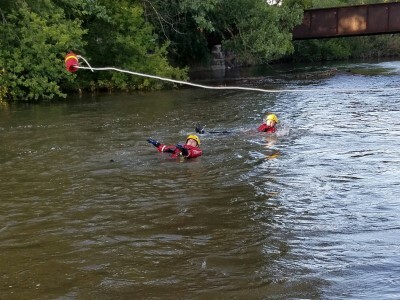 #3 TIP from the Swift Water Rescue Team – A throw rescue rope is important equipment. Practice using it. Check Water Levels before you go. Check this gage for Turtle Creek – at it’s highest in July, the level was 7.3 and at that level it was not a good idea for anyone to be on the creek. Life Jacket is required, does not need to be worn by adults, but it is recommended (preferrably a jacket with zippers where you can stash your phone and whistle). Have kids wear life jackets. Don’t under estimate the water—it may be higher than you expect due to situations upriver. When “ducking” under a tree, lean forward and duck, not backward or sideways. When in a group, one experienced person in the lead, one experienced person in the back to ensure everyone is safe.